WELCOME TO SAFEHOUSE LOCKSMITH & HARDWARE! Are you looking to replace car ignitions in Fresh Meadows? Depend on Safehouse Locksmith & Hardware to replace car ignitions in Fresh Meadows and relieve your stress. For years, our professional car key mechanic has assisted drivers with replacing car ignitions - getting them back on their way without delay. Fully-trained, experienced, and never sub-contracted, our auto locksmiths deliver exceptional results time and again, committed to your satisfaction and our own standards of quality. When you need car ignition replacement, our car locksmith specialists deliver expert services at affordable prices. 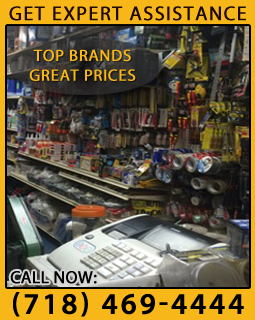 Safehouse Locksmith & Hardware has grown as a trusted name in car ignition replacement throughout Queens. We have the capabilities to promptly replace car ignitions for vehicles using remote keys, key fobs, electric keys, switchblade keys, valet keys, and many more. Residents and fleet managers alike come to us when they experience a malfunctioning car ignition switch, knowing that we install replacement car ignitions without delay. Because of our many years serving NYC, we are able to replace car ignitions for you in a New York minute. When you're having trouble starting your car's electrical components, the experts at Safehouse Locksmith & Hardware have the skills, precision, and expertise to complete the job to your satisfaction. At Safehouse Locksmith & Hardware, your satisfaction comes first. Building strong business relationships with members of the Queens and NYC communities has been essential to our growth and trusted name. At our locksmith location, you'll find a team of knowledgeable professionals with the tools necessary to efficiently replace car ignitions when you need it. We serve you with prompt and affordable car ignition replacement to get you back on your way. Our attention to detail, coupled with our industry knowledge, gives us the tools and information necessary to accomplish each job with accurate and quality results. When you visit our auto locksmith, you'll find professional locksmiths commited to providing Queens residents with auto locksmith services they can depend on when they need efficient work completed. When you need to replace car ignitions in Fresh Meadows, call Safehouse Locksmith & Hardware at (718) 469-4444.